I want to share my experience of converting the Sony MMV file to MP4 or any other video formats like AVI WMV, because I know how hard it is to get videos off the Sony camera and onto the computer and convert. MMV Video file, with the suffix .mmv, is created by some Sony digital camcorders by 12 Mbit/s MPEG-2 compression. I thought it could be easy to convert MMV since it is in MPEG-2 but I have tried a couple of video converters hoping they can read the Sony MMV format. However, when I drag an .mmv file into the apps they do not accept it. I finally worked it out and will show you how to convert Sony MMV to MP4 AVI WMV. Sony discontinued the use of MicroMV camcorder models in 2006. So we know MMV won’t be our big trouble, but just in case, this guide will be of help. What I recommend is an all-in-one video converter, video editor, online video (YouTube) downloader, DVD/Bluray burner. 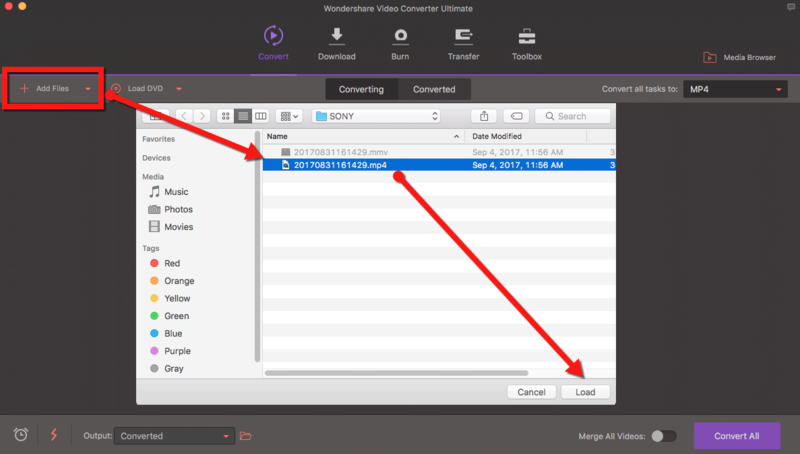 It is an all-purpose video toolbox for you: Wondershare Video Converter Ultimate. 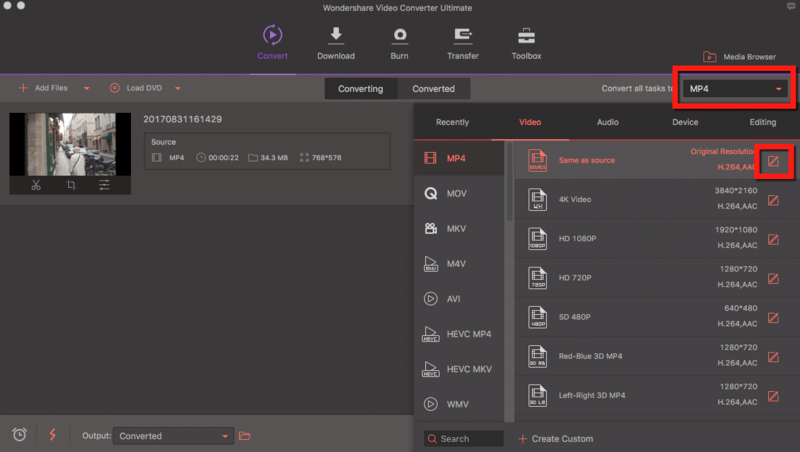 When it comes to video converting, Wondershare is always my top choice as it supports almost all video formats and converts between them. And I think it is the best Russia World Cup video converter no matter which Camera you use to record your splendid moments during the 2018 World Cup. We are also able to custom each profile and save as our own. The high-speed conversion mode impress me a lot, making Wondershare Video Converter the fastest video converter! Also, the edit function is powerful yet straightforward, you will always able to custom and convert your own videos. Converting videos with Wondershare is always easy but converting MMV file gives us a little trouble, but no worry, I will walk you through. Follow the above download links and free download Wondershare MMV file converter. Install and launch it. If you want to convert MMV to MP4 after it is loaded, you can go directly for the Convert All button as MP4 comes as the default output format in Wondershare with original resolution in H.264. 1. If you want to convert MMV to AVI, WMV or any other videos formats, click the drop-down menu of “Convert all tasks to” and the Editing button to custom your own profile. 2. High-Speed Conversion is NOT available for MMV as it only supports H.264 in MKV, AVI, MPG, TS, TRP, MP4, M4V, M2TS, MTS, MOV, FLV. For more details, please visit this page. But it is always recommended to Turn On. The converting speed would be super fast. 3. Convert MMV for Innotab for kids? Check here for help. 4. Trouble converting MMV file? Leave me a comment, I will be glad to be of any help!